General Electric is working with Credit Suisse bankers in preparation for a $1.5 billion sale of its power-conversion unit, Bloomberg News reported Friday. The embattled conglomerate paid $3.2 billion for the unit in 2011, according to the report. The power-conversion unit, formerly known as Converteam, may be ready to be put up for sale in about a month, the report said. 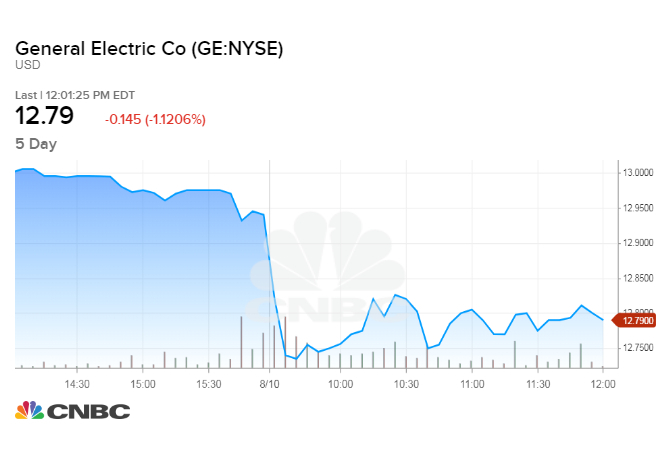 Shares of General Electric declined 1.3 percent in trading Friday, largely unchanged after the report. The stock has fallen nearly 50 percent in the past year. 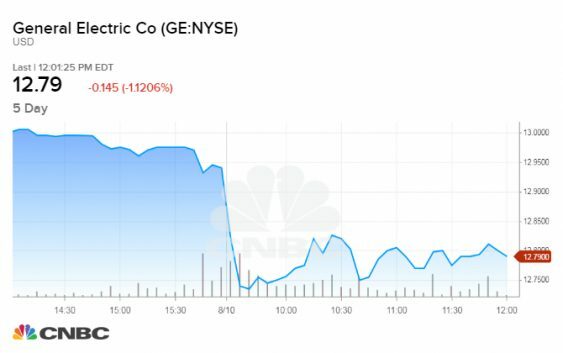 GE declined CNBC’s request for comment. Companies such as Caterpillar, Schneider Electric and ABB are likely targets for GE to court for the deal, people familiar with the preparations told Bloomberg. The power business is the company’s number one focus for the remainder of 2018, CFO Jamie Miller told CNBC after the report, reiterating Flannery’s comments on the call.